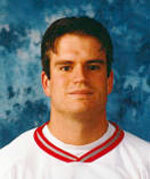 One of the first two inductee into the SJU Athletics Hall of fame for Men's Lacrosse... Ranks second all-time in career goals (113) and points (193) and fourth in assists (80)... Has three of the top 10 marks for goals scored in a season... Tied as the Hawks' record-holder for most goals in a game (7) and most points in a game (11)... Midfielder who was the Hawks' MVP for three consecutive seasons... All-MAAC selection in 1997... Earned Academic All-America honors in 1997... Was a two-time GTE Academic All-District II selection, becoming the SJU's first lacrosse player to earn the distinction in 1996... Received Saint Joseph's Outstanding Senior Scholar-Athlete Award in 1997... Native of Edmonton, Alberta... After graduation, earned an MBA from Harvard... Currently works as the managing director of the Institutional Investor Group at Vanguard... Completed his first Ironman Triathlon in 2008 and qualified for the Half-Ironman World Championships in 2011... Resides in Newtown Square, Pa., with his wife, Linda, and their four children. 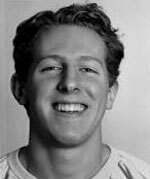 One of the first two inductee into the SJU Athletics Hall of fame for Men's Lacrosse... Defenseman who was a key player for the Hawk teams of the late 1990's... Set the school record for career ground balls with 179 and now ranks sixth all-time... Led the Hawks in ground balls for two seasons... Named to the All-MAAC Team his junior and senior seasons... Two-year team captain... Chosen as the Hawks' Most Outstanding Defensive Player in both 1996 and 1998... Named SJU's Co-Rookie of the Year in 1995... Was selected by the Philadelphia Wings in the sixth round of the 1998 National Lacrosse League Entry Draft... Originally from Morton, Pa., and Ridley High School... Has played for the GMH Philadelphia Lacrosse Club for more than a decade, serving as team captain... Worked as an assistant coach at Swarthmore College... Currently a senior project manager at Synthes Craniomaxillofacial in West Chester... Resides in Woolwich Twp., N.J., with his wife, Kristin, and their two children.